If bankruptcy, criminal law, or personal injury has got you down — I can help. Sometimes, you just need a fresh start. A clean slate. This holds true in many areas of life, including your finances. When debt piles up, and you can’t pay it off, and the debt collectors are relentless, you may be in need of a clean slate. A Chapter 7 bankruptcy can give you this fresh start. Maybe bankruptcy isn’t a route you ever wanted to take, and maybe it’s still not your best option, but if you’re in deep debt then you are likely feeling a lot of pressure. Will I lose my house? Will my debt ever get paid off, and will life get back to normal? If these questions go unanswered, unresolved, a sense of hopelessness may ensue. But there is hope. There are options to rid yourself of the massive debt that weighs you down. A Chapter 7 bankruptcy is a complete exoneration of debt. 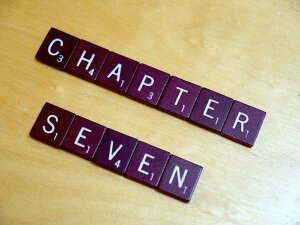 If you file for a Chapter 7, a trustee liquidates your assets and sells them to pay off your debt completely. Certain assets are eligible for exemption and can’t be sold, including your property, car, pensions, and more. So, is this the right option for you? That’s where an experienced bankruptcy attorney can help. As a licensed attorney in Colorado, I have helped countless people regain their financial freedom not only through filing a Chapter 7 or Chapter 13 bankruptcy but through other means as well. I know the process, and every step to take, and will work with you through it all — until your financial future seems less bleak. Together, we can work through your questions and concerns about your debt. Since filing for bankruptcy isn’t for everyone, I can show you alternative options and help you decide what is best for you and your family. If Chapter 7 is the answer, I will help determine if assets are at risk to be sold to pay off your debt and which ones will be protected for you and your family’s needs. In Colorado, your eligibility for a Chapter 7 bankruptcy depends on your income. If your income is above the median amount, but you pass Colorado means test, then you’re still eligible for this type of bankruptcy. If your income is below the median then you automatically qualify to file for a Chapter 7. A knowledgeable lawyer can also help you through the process of determining what your income is and taking the means test. If Chapter 7 bankruptcy seems like it may be a viable option for you, or have questions about bankruptcy in general, don’t hesitate to contact The Law Office of Chris D. Hefty. I will answer your questions and work with you through this tough financial period. I’ve helped with clients across Northern Colorado, and I can help you.